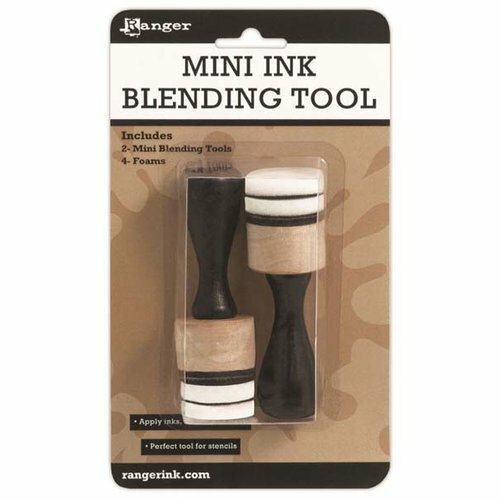 Not only is the Mini Round Ink Blending Tool cute as a button, but it’s also great for giving you a lot more control when applying a little bit of ink using a pouncing motion when using with stencils. 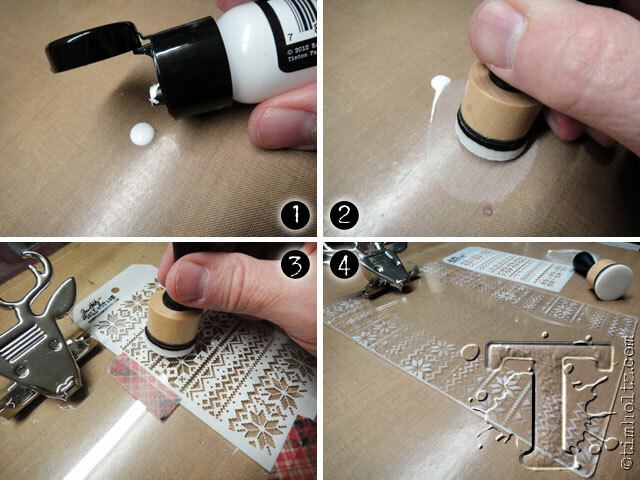 The designed round shape and that the foam is slightly larger than the tool eliminates those harsh lines or edges when applying ink or paint to your mixed media projects. 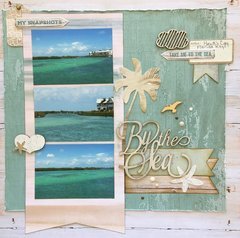 You won’t believe the unlimited creative blending options that you will have with the Mini Blending Tool! 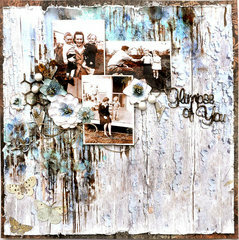 You won’t know how you have been creating mixed media projects for so long without it. 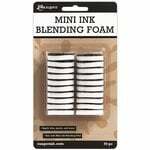 The tool gives you a lot more control and the best part of the included foam is that you can use several inks at one time and they won’t get contaminated. 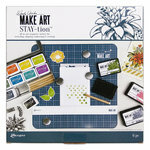 The foam only delivers the ink making it easy to use several tones at once while you are creating. And it’s the perfect size to take with you on your retreats, crops or classes; just toss it in your craft tote and you are ready to go! Additional replacement foams are available (pp-riibt40972) and the tools can be stored in the Storage Spinner (ch-th93280) for easy and convenient use, each are sold separately. The included foams are washable and reusable, simply wash with soap and water and you are ready to start creating again! 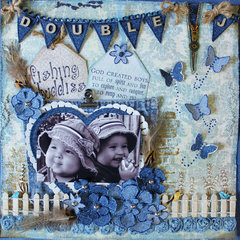 I love using blending tools to create backgrounds and edging. The only problem is I'm impatient and the original rectangle version ends up leaving darker corners all over my papers. I was trimming the pads which helped but did not solve the problem. I jumped on this round version and I'm super glad I did. I still get darker areas but they aren't harsh angular marks -- they're nice smooth rounded, cloud-like, quarter moon puffs. 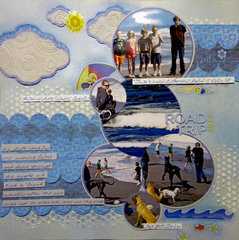 The round shape also doesn't catch on rough areas or collaged edges quite as much. I wish Ranger made this version in a larger size because I'd buy that one too! This is so awesome and doesn't leave marks where you started or ended. It is so much easier to ink with this one on delicate things...so much better than the rectangular blending tool. Love this...so happy with the purchase! 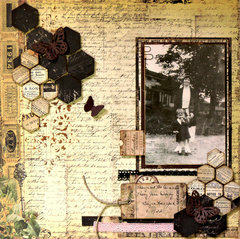 I still love the rectangular blending tool...just love all Tim Holtz products!!!! 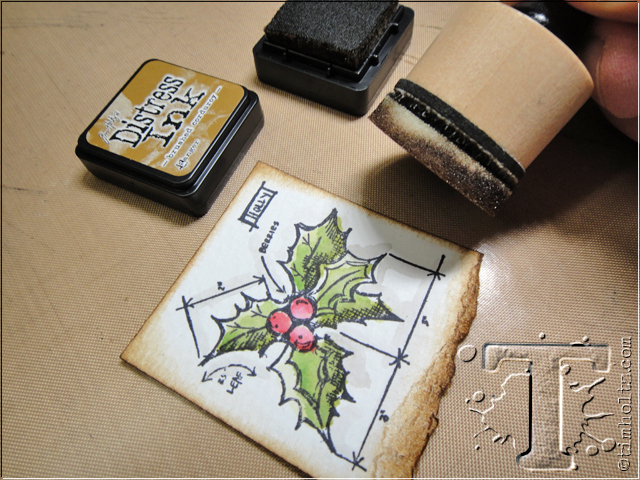 to use with the small inks that Tim Holtz is also selling. This enables me to have a wider range of colors and see which I use most often (which then I'll buy the larger ink). 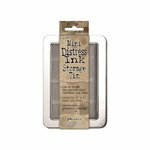 This tool is perfect for the mini inks, but it also is great for getting into tights spots or edging items giving projects a more polished, finished look to them. Love it, very high quality, great value. This is my first time using the blending tool...haven't even used the rectangular style. Love, love, love the round tool!! It allows great shading on edges without a "line" accidentally appearing, as can happen when using the ink pad to edge or shade! I've enjoyed using the square sponges, so when I saw these I had to give them a try. They're really great. 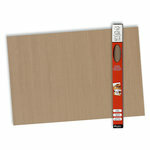 They go on as smoothly as the square ones, but are much easier to maneuver. It's easier to get into small areas with these. They are definitely worth trying out. These are a must have in my stash. They blend inks like no other. These are made of a special material as to not just absorb the ink into never land like a makeup sponge would so your not wasting ink. When you use a makeup sponge you are constantly re-inking that sponge because they just absorb the ink thus leaving you with very little ink to apply to your paper. This product doesn’t do that. The ink is simply applied to the pad, not just absorbed. They are very durable! They last a very long time. They are frustration free and worth every penny. 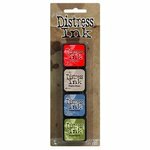 These work well for inking. I like the fact that the sponges can be switched out easily. With two applicators, it is a lot faster switching from one color to the next. I got extra pads so that I have one for each color of ink and being able to store them under my Momento teardrop ink pads and my small square ink pads is a real bonus. I put a small piece of velcro under my larger sized ink pads to store the pad. It works with the pads that have a deep bottom, but not so well for my StazOn pads, and the pads are the wrong direction up so they can spread ink on stuff under them. 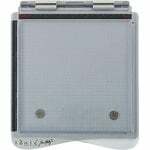 I may affix a coin holder on the bottom of the larger ink pads to hold the blending pad. I really like having the ink and pad together; it's so convenient and takes up no space on the small ink pads. This is a game changer for me. I was not much into distressing because I did not like the hard edges caused by my technique (or lack of technique) when using the distressing tool. I love the round shape; it makes distressing a breeze. Haven't used these before. Do you have to replace the foam after each use, or can they be cleaned? By: kdemyer (25-Jul-16) Helpful Question? Yes | No Thank you! Report Inappropriate This question has been reported. Thank you! 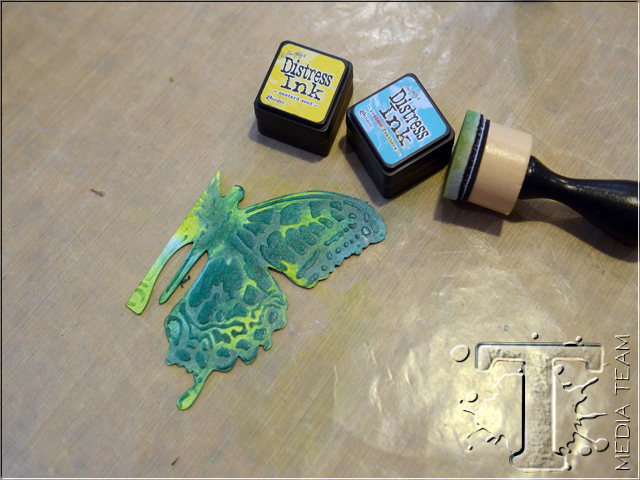 I use a different foam for each color of stamp pad ink. I don't wash it after each use. 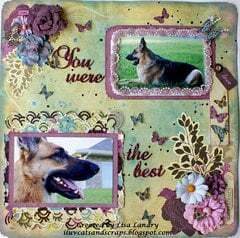 I put a piece of double sided tape on the bottom of the stamp pad and store the foam there. 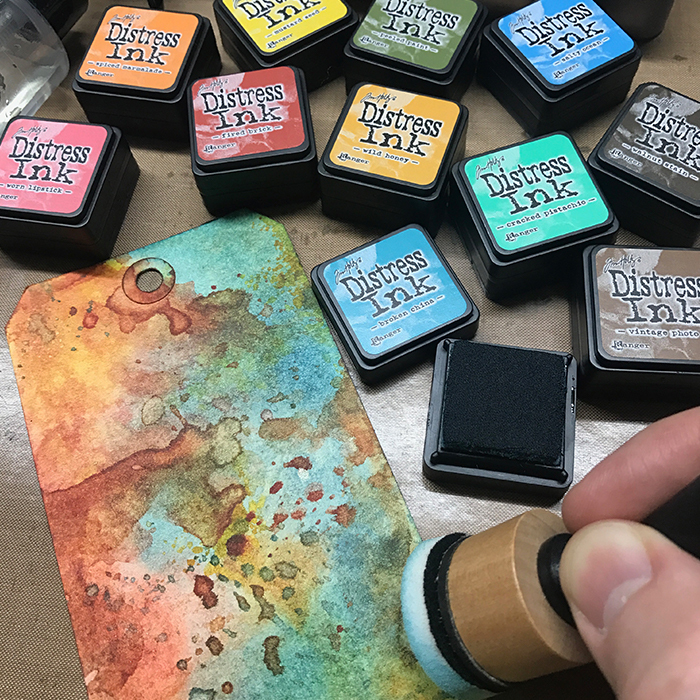 When I need to use the ink blending tool with a color I just turn the pad over, remove the foam, attach it to the ink blending tool, do what I need to do and re-stick it to the stamp pad when I'm done. By: karenfaylor (01-Oct-16) Helpful Answer? Yes | No Thank you! Report Inappropriate This Answer has been reported. Thank you! Yes, they can be cleaned by washing! Love them - By: ahall6315 (30-Sep-17) Helpful Answer? Yes | No Thank you! Report Inappropriate This Answer has been reported. Thank you!